Remember this quilt? You've seen it before. Now you get to see the rest of the quilts. Click here to see them all. The bidding on the quilts begins November 1 but until then you can root for your favorite player. Each 'root' is $1. 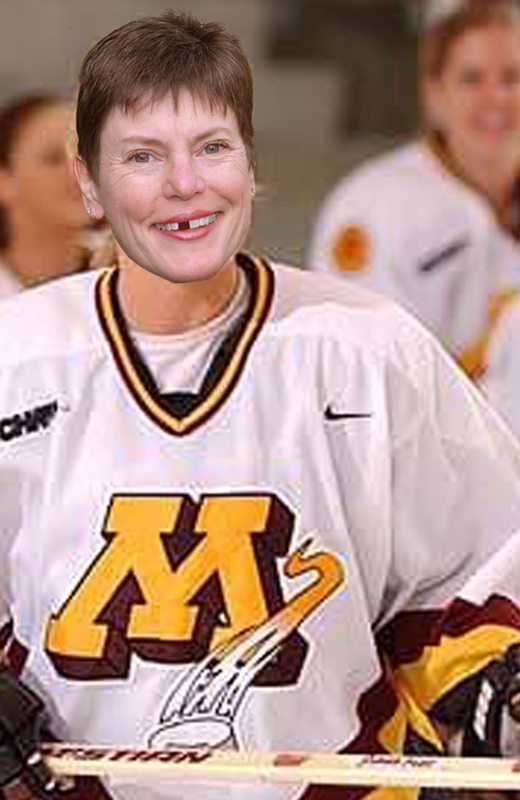 Click here to see us in our hockey garb, with missing teeth. Feel more than free to root for me! numerous times. Or root for one of my Feed Dog teammates: John Flynn, Hollis Chatelain, Sue Nickels, Alex Anderson, or Renae Haddadin. I suppose if you must you could root for a player from the Rotary Blades (it is, after all, for a good cause! ): Caryl Bryer Fallert, Pat Holly, Libby Lehman, Judy Mathieson, Mary Sorensen, and Ricky Tims. There are also earrings (click here) and t-shirts are coming soon. Tell your friends. Remember, the money raised is for Alzheimer's research. I'll showcase each of the quilts in the following days. Truly, each one is amazing and I am very proud to be part of this group. Here I am, tooth- and helmet-less. Very scary. What happened? Last year you were a Red Wing weren’t you? All in good fun and all for an incredible cause. Well, Im in a RedWing costume – no, thats wrong – uniform! To be truthful, I watch football. I should be in a Cowboys uniform but there you go. Im happy to be a Feed Dog and try to adopt the correct lingo. Oh dear, I thought it was hard last year to decide who to root for! 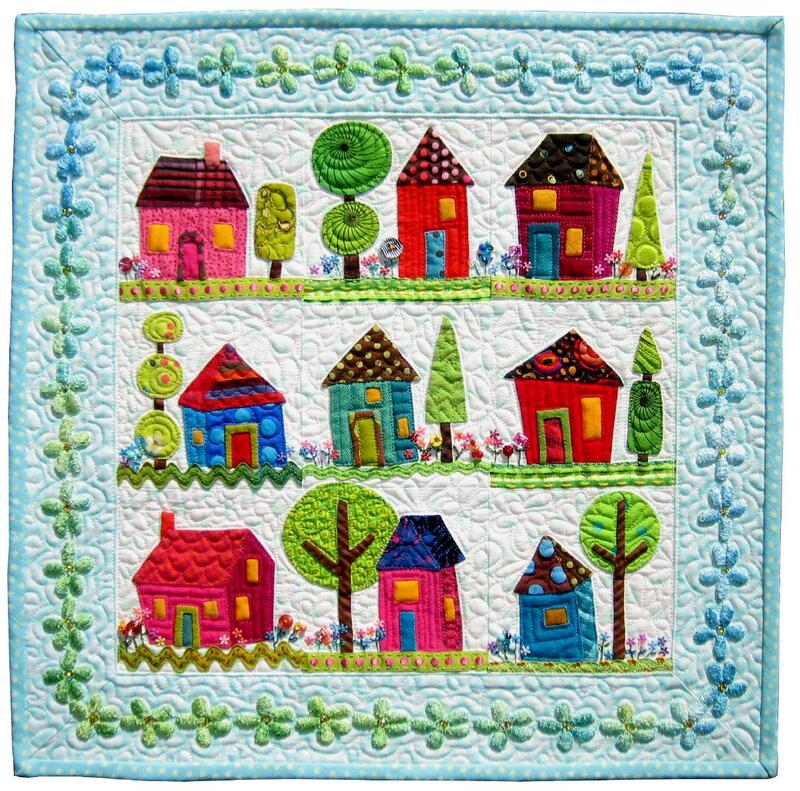 Quilts are amazing and so very different. I may have to switch my rooting around!